Often the difference between arriving with a smile or with chattering teeth, a light-weight wind shell is an essential part of every cyclist’s kit. Our packable W’s Wind Jacket is made in textured ripstop that doesn’t cling to the skin, with reflective piping and a handy two-way zipper. A mesh rear panel and a cape vent help keep your core comfortable without being clammy. 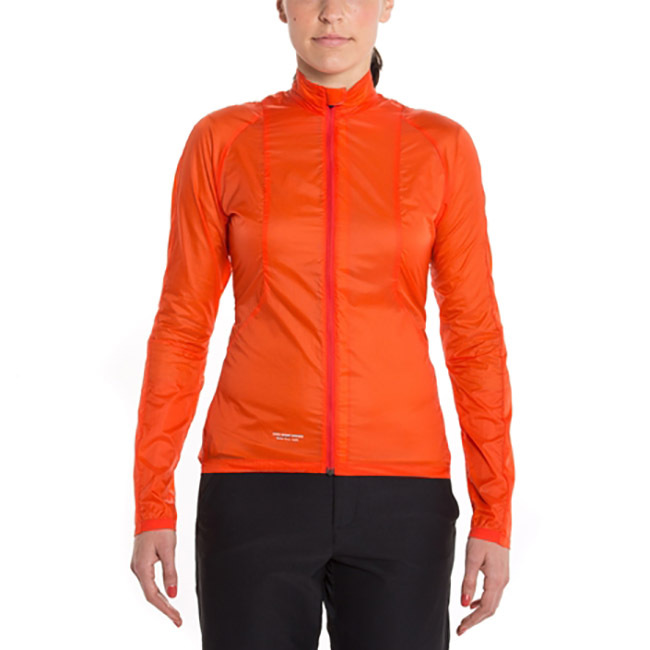 When temps rise or skies clear, it collapses down to the size of a clementine inside its built-in stow pocket.